“There was this guy in the English department at Ole Miss. He asked me to stay after class one day. The next installment of the “Impossible Language” series is the evening of Saturday, April 26th, and for those not in the know, it’s a series of poets reading from their work with visual artists often showing their work. It is also part of the wide range of artistic activities, including events spearheaded by Crosstown Arts, that have sprung up on North Cleveland in and around the Sears Crosstown building. So, no. No “spend cycle” — as Dickey described it — on Barbados like the one you find in the U.S. But here’s Dickey on a few more matters, put to him before his Memphis signing at The Booksellers at Laurelwood on Friday, April 18th, at 6 p.m. He’ll be autographing his latest novel, A Wanted Woman (Dutton). With four collections of poetry, a Rome Prize in 2003, a Guggenheim Fellowship in 2005, and a Bogliasco Fellowship in 2012, what else is there to add to Sarah Arvio’s impressive resume? A lot and including: publication in The Best American Poetry 1998, Women’s Work: Modern Women Poets Writing in English, Ariadne’s Thread: A Collection of Contemporary Women’s Journals, and, forthcoming and perhaps on a lighter note, Eating Our Words: Poets Share Their Favorite Recipes. To go with this week’s Flyer coverage of The Concrete Killing Fields, Pat Morgan’s first-person account of her work with the homeless in Memphis, I asked the author about an important point she makes throughout the book: inadequate mental-health services for the homeless in the wake of decades of deinstitutionalization of the mentally ill.
Go to Mother Jones for a useful timeline of events that saw the emptying of public psychiatric hospitals in favor of community-based, state-funded outreach programs. The timeline is subtitled "How deinstitutionalization moved thousands of mentally ill people out of hospitals — and into jails and prisons," and pay particular attention to the year 1984. Memphis isn’t Chicago. Nor is it an urban magnet on the order of Atlanta. But Memphis, according to Zandria F. Robinson, is a “key space" and "grounding site" to examine race, class, and regional identity in the post-soul South. She does so in her new book, This Ain’t Chicago (The University of North Carolina Press). From Oklahoma City to Chattanooga: You’d think, since you have a speaking engagement in Memphis, you’d make that stop before heading to East Tennessee. Not John Dear. He's an author, teacher, lecturer, activist, and nominee several times (including in 2008, thanks to his friend Bishop Desmond Tutu) for the Nobel Peace Prize. 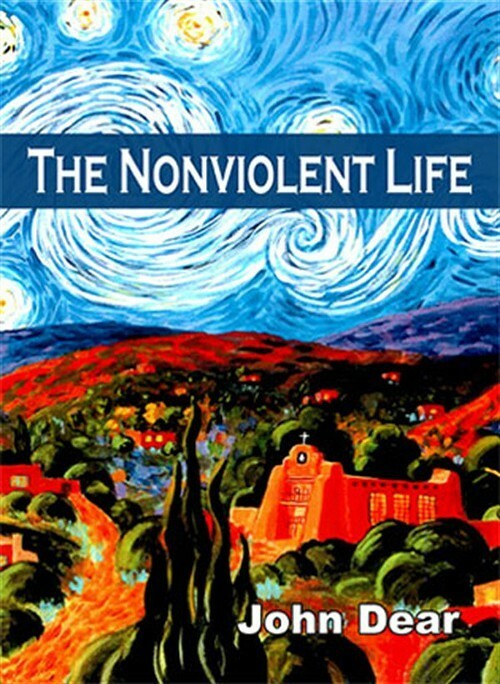 And regardless of the route, Dear will be at First Congregational Church in Memphis on April 8th to discuss his latest book, The Nonviolent Life (Pace e Bene Press). That's just days after the city observed the 46th anniversary of the death of Martin Luther King Jr. and celebrated the reopening of the renovated National Civil Rights Museum in downtown Memphis. Tommy Lee, the man behind the above quote, was describing the time he and band mate Nikki Sixx of Motley Crue were on tour in 1987. One night, they’d run out of heroin, but they did have on hand some needles, so they reached for the bottle. The two tied off and took their Jack Daniel’s straight — into their veins. Two words from best-selling author and native Memphian Hampton Sides: Tell stories. That’s the message Sides will be delivering inside the University Center Theater at the University of Memphis on Thursday, April 3rd, at 6 p.m. As guest speaker in the school’s Marcus W. Orr Center for the Humanities lecture series, Sides is certainly one to tell great stories — and reach readers. His Ghost Soldiers has been translated into a dozen languages. He followed that with a life and times of Kit Carson, Blood and Thunder. He followed that with a riveting account of the life of (and manhunt for) James Earl Ray, Hellhound on His Trail. This summer, look for Sides' latest nonfiction narrative: In the Kingdom of Ice: The Grand and Terrible Polar Voyage of the USS Jeannette.